What are you not willing to give up in your life? 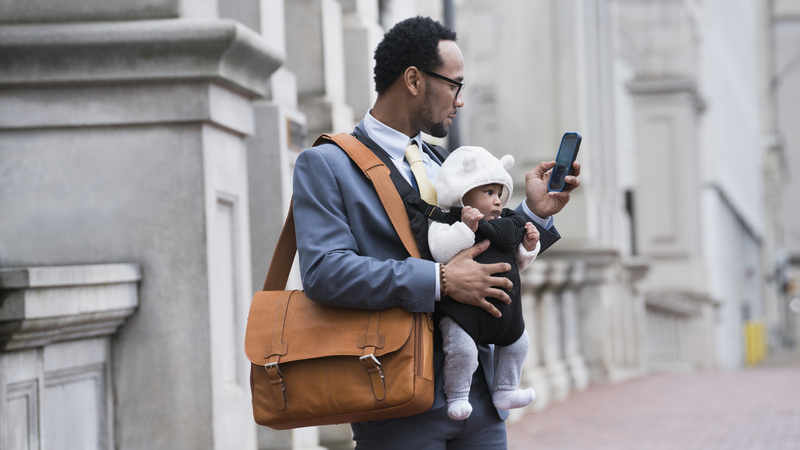 Recently, much has been written about how work-life balance is a false dream that we should all just give up on, instead focusing on work-life integration and the coexistence of the two. As a business owner, writer, husband, father of four, and son to a recently widowed mom, I think a lot about work-life balance these days but haven’t yet given up on the pure concept of it. For me, simply accepting this en vogue notion of “work-life integration” feels a bit scary because I’m not sure my feeble brain could handle blending it all together. Some days I feel like I’ve nailed it work-life balance. On other days, I feel like I couldn’t identify it if my life depended on it. What I recently realized, though, is that I didn’t really know what I wanted. I realized that I didn’t have a clearly defined vision of what work-life balance looked like for me. Of course, I’d tell people that I wanted to be successful in my business and be present and actively part of my family life. It was the usual work-life balance sound byte that many of us use. How could I actually operationalize that sound byte of work-life balance, though? It was so general that it didn’t really tell me anything. If I kept talking in general terms, I couldn’t actually put strategies into place to help me achieve it. I needed to get really specific about exactly what work-life balance looked like for me and the specific trade-offs I needed to make to get there. Ironically, that’s what many of us do for our businesses every day but never think to apply to our work-life balance goals. Maybe this is why it seems so unattainable. What am I not willing to give up on the work front? This was about trying to understand what I perceived as non-negotiable at work. I needed to know in very specific terms what things I was not willing to compromise at work in the name of things I wanted in my personal life. What am I not willing to give up on the “life” front? This was about doing the same thing as the first question but identifying what I thought were the very specific deal breakers in my personal life that I was not willing to give up in the name of things I wanted from work. The key for these two questions was specificity because that specificity allowed me to quantify on a day to day basis what that really meant in terms of hours in the day and where they were being allocated. Sadly (but somewhat expected), my first pass had me not willing to give up much of anything. When I then calculated how many hours it would take to make it all happen, I ended up with about a 297-hour work-life week. Maybe that’s how this whole concept of work-life integration and blend came about. No one ever said this would be easy. My ridiculous first pass work-life week certainly explained why many days felt like a complete blur leaving me feeling like a walking work-life zombie. Like business visioning, it required a number of iterations before I had something I liked. It wasn’t an easy process. I had to really come to terms with what spending more time with family meant on my business goals and vice versa. Coming to clarity on the specific decisions, areas of prioritization and trade-offs were the hardest part. Without that, though, I realized that I really had no clarity on how I needed to run my business and my life, which had caused me to reactively try to get some semblance of work-life balance every day and why it was so hit and miss. Right now, growing my business systematically as I had done for the past 8 years was less important than time with family. I still needed the business to run and had necessary financial thresholds to hit, but it was OK to keep the business at status quo or even slightly reduced for awhile. I would never have arrived at that seemingly unthinkable conclusion about the business I had worked so hard to grow had I not gone through the visioning process. It took a little while to accept that reality and the trade-offs on the business side, but my business plan changed to accommodate for it. What this visioning process also helped me realize was that these were my outcomes at this point in time. As things evolve over time on the family front, the balance could flip the other way towards the business. Either way, the process yielded a level of specificity that helped me create an actual tangible day to day work-life balance plan. So before you give up on work-life balance in 2018, try creating a specific work-life vision. My visioning experiment has me feeling better about my quest for work-life balance not being a vain effort towards an impossible dream.